Thunderbird Electric Fences develop, design and manufacture agricultural electric fences and weighing products. 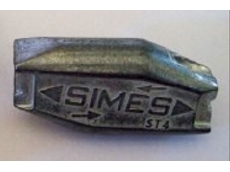 08/06/11 - A range of Simes fencing tensors is now available from Rural Fencing Supplies. 25/07/08 - The agricultural weighing systems from Thunderbird includes items such as indicators, automatic drafting machines, weigh bar systems, platforms and crates. 24/07/08 - Thunderbird offers electric fencing series such as mains powered energisers, battery energisers, unipower energisers, solar energisers and accessories. 08/07/08 - Farmshop offers online sales and marketing services for a range of farming equipment and accessories.